The next big flagship phone announcement for 2019 will come from Samsung, with the Galaxy S10 and Galaxy S10+ set to be announced at an event on February 20th. We may not have to wait that long to know how fast it will be though, with Slashleaks sharing what are claimed to be performance benchmarks of the two phones. 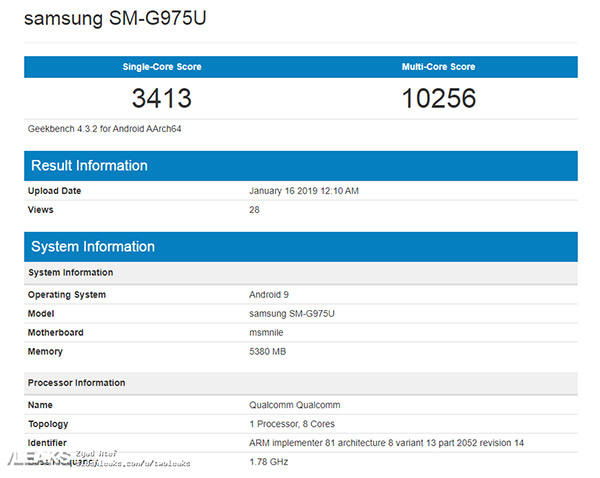 According to the numbers shared by Slashleaks, the Galaxy S10+, with its new Smapdragon 855 CPU, scores 3413 in the single core test and 10256 in the multi-core. Those numbers are pretty high, thanks to that CPU and the 6GB of RAM that the phone will ship with. However, they don’t manage to beat the scores that the 2018 iPhones managed, which will be a disappointment for Samsung. 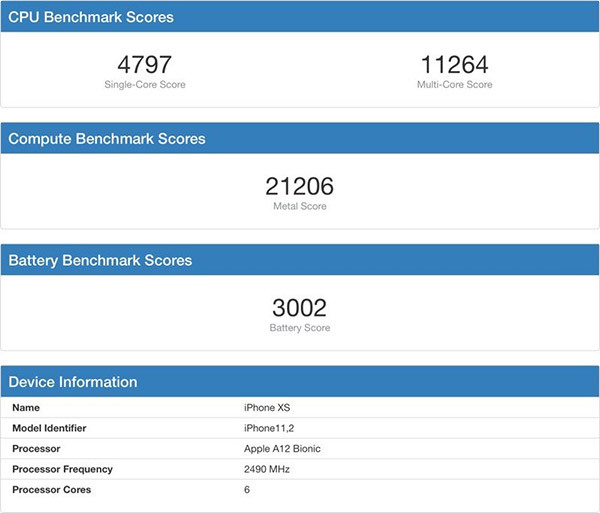 For comparison’s sake, the iPhone XS manages a score of 4797 in the single core test and 11264 in multi core. That should perhaps not come as a huge surprise given the fact that the older iPhone scores have surpassed newer Android scores in the past. However, as we all know, synthetic benchmarks don’t always equate to real world performance, so we’ll have to wait and see whether this means anything when the phones start to appear in the hands of users. The reason Apple is able to make its phones perform so well is the use of in-house designed chips, with the A12 used in the iPhone XS, XS Max, and XR performing particularly well. 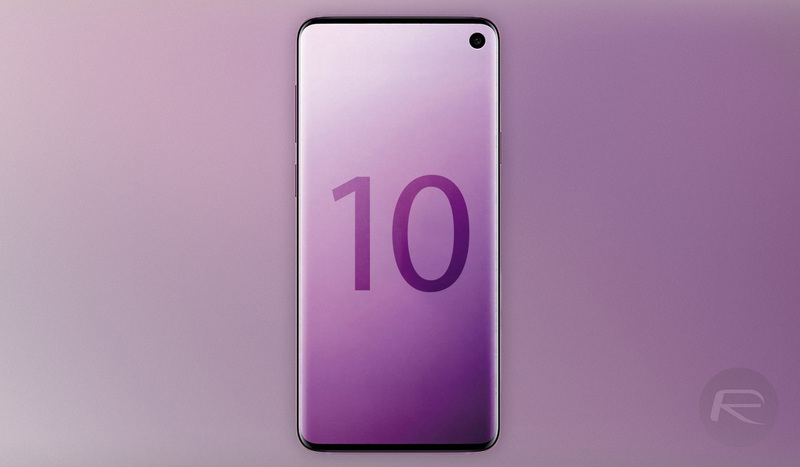 We’ll have to see what Samsung pulls out of the bag when the new flagships are announced next month, and we can’t wait to take the Galaxy S10 for a spin for ourselves. This isn’t exactly shocking news. Samsung has been 2 generations behind Apple performance wise for years. Apples cpus are always faster than the android equivalent yet in real world usage its meaningless. Iv never heard of an app that only the iPhone can run because of its “superior” power. Very true. There all the same. A phone is a phone, but it’s cool seeing stats. Like any sports event. The thing is apple software is a lot less capable so what it can do somethings , when ios cant do other thing that require better hardware , like VR , true multitasking, have customization, and lot things that probably forgetting. So in actuality you comparing apple to bananas, not apples to apple , if you make software that less capable it will run better on the same hardware. How about we put ios on the galaxy note we will see who made a better phone. Spoke like a true Champ! So just out of curiosity, with 2 whole years of incredible revolutionary technology and breakthroughs, what is the iPhone capable of that the best android isn’t? I mean, your not just paying $1300 to just run iOS in exactly the same way as every other iPhone from the last 6 years are you? Well at least they are kind of catching up. Those synthetic benchmarks aren’t everything though. iOS can achieve those numbers all day long while Android will likely only pump them out when you are actually running that app. android is definitely less capable software, you are right. then why is play store a super scuffed version of the app store? Apple already buying Samsung products still unreleased. That shows Apple is copier and Samsung is popular. What’s that got to do with cpu power?